With 29 years of experience in the Pittsburgh area, we know how to fulfil your home's remodeling requirements better than anyone else. Don’t let your old windows bring down the value of your home! Schedule your free consultation today. The side of your home is one of the most important, yet often neglected, features. 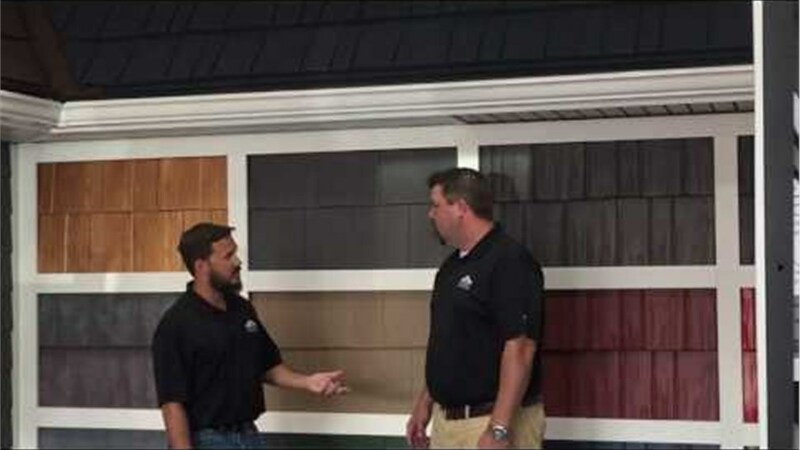 Set your home apart with beautiful designer siding! Doors are crucial to both the appearance and functionality of your home. Replace a deteriorating door today! As exclusive carriers of Classic Metal Roofing Systems, Legacy Remodeling is proud to offer the best in long-lasting, affordable roofing in Pittsburgh. Beautify your home and enhance your lifestyle with one of our stylish, durable decks or patios! Cook your next meal in comfort with a reworked kitchen. Old countertops or a bad floor plan can make the kitchen feel stifling instead of freeing. For the beautiful, luxurious bathroom you deserve, call the pros at Legacy. Legacy is proud to call ourselves your local, trustworthy remodel contractor for all your home improvement needs! Our goal is to provide homeowners in the Pittsburgh area with high-quality, affordable home remodels every time. Call us today to speak with one of our friendly representatives or fill out our quick online form to receive your free, no-obligation estimate!